Logo design for a property development company. The focus was to create an strong visual symbol that uses the initial letter of the company and the mobius strip, reflecting the science-focused values of the company’s culture. 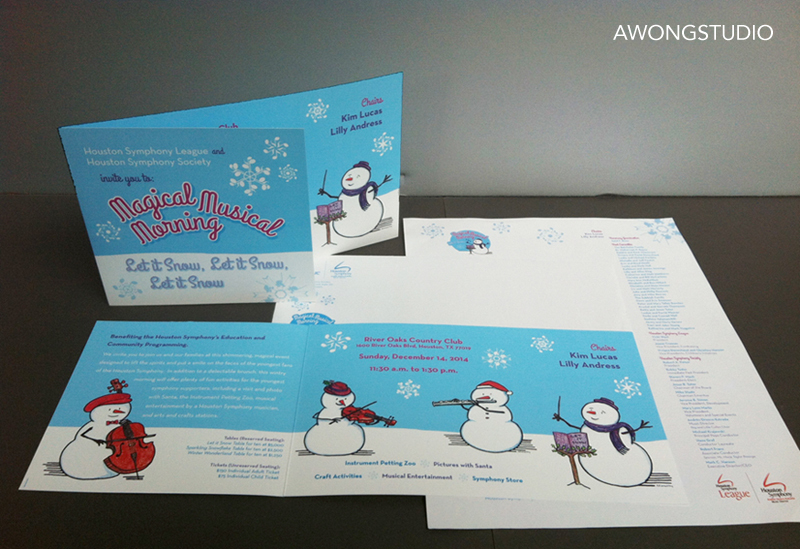 Design of Holiday event Invitation and stationery. The hand-drawn illustrations of the snow orchestra resemble the facial features of musicians in the Houston Symphony. 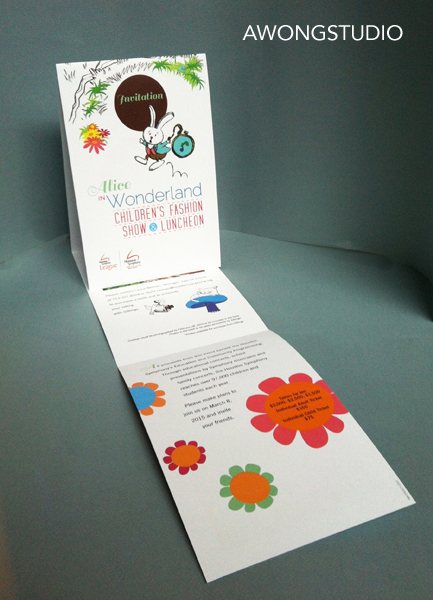 This invitation card folds out vertically to echo the falling down action of Alice in Wonderland as she falls down the rabbit-hole. 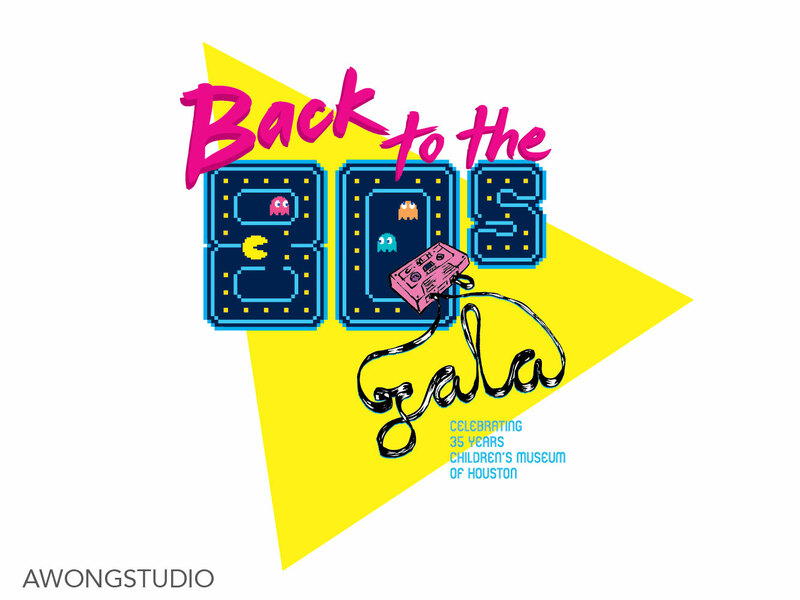 Logo design for an 80s themed gala event for The Children’s Museum of Houston. The bright colors and typography tap into the fun nostalgia of both fondness/cringe-factor of the era. The cassette tape and lettering were hand-drawn and the Pacman-inspired numbers were created digitally. 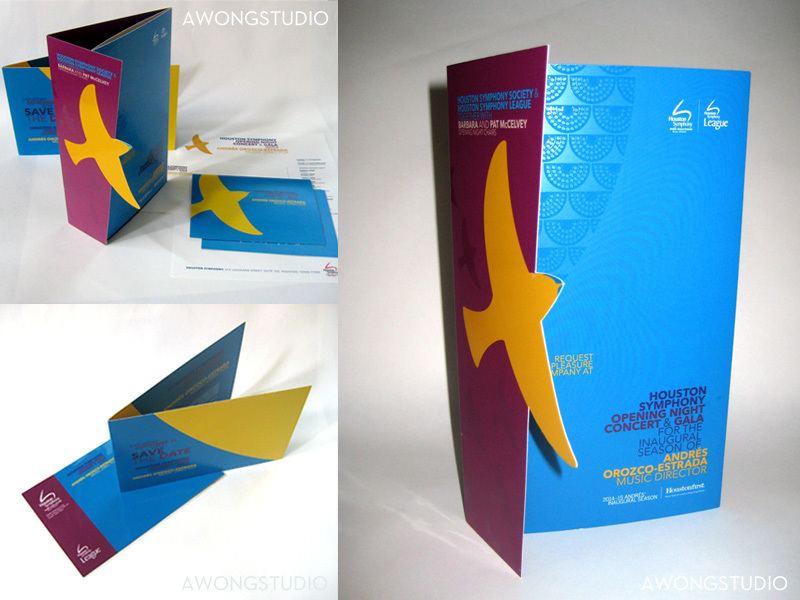 Design of event Invitation and stationery. 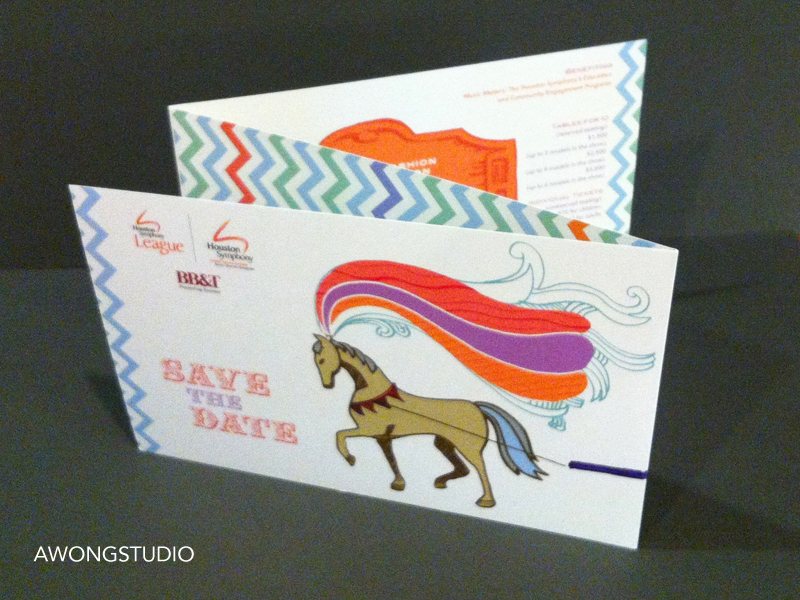 The modern take on the vintage circus theme came from the 100-year anniversary and The Greatest Show on Earth theme. Illustrated holiday-event souvenir photo holder card that references the past for the 100 year anniversary of Houston Symphony. 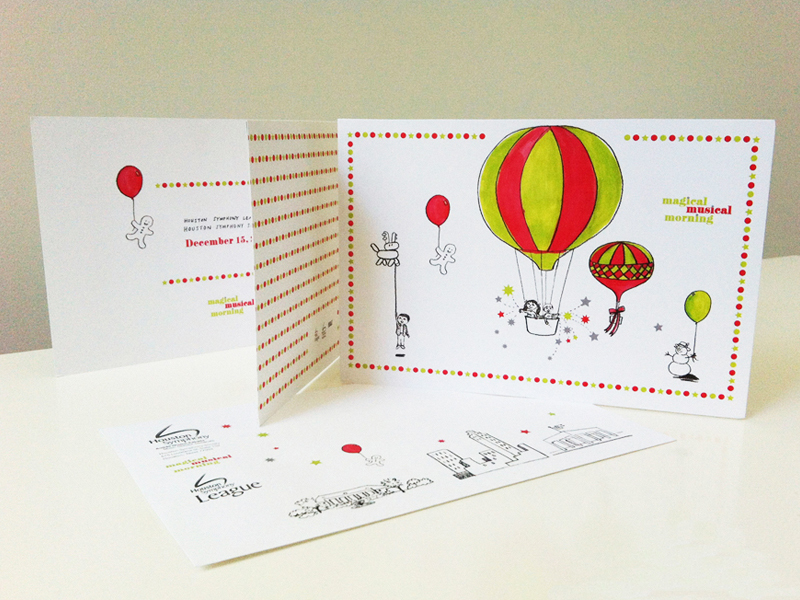 As the card is pulled up from the envelope, the action mimics hot-air balloons rising from Houston. Jones Hall and the event venue of the River Oaks Country Club are featured. 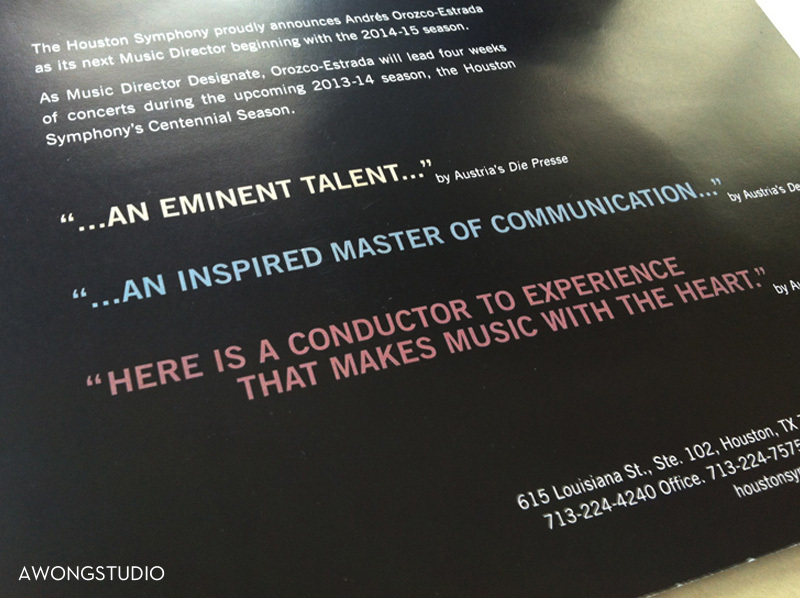 Design of print media elements for inaugural performance of the Houston Symphony’s new musical director. The modern, dynamic colors reinforce this culturally progressive appointment. A modern look for a press kit for a major launch. Logo design for wellness coaching company that organises walks throughout the city. Visually, the initial letters of the name create a fitness track. 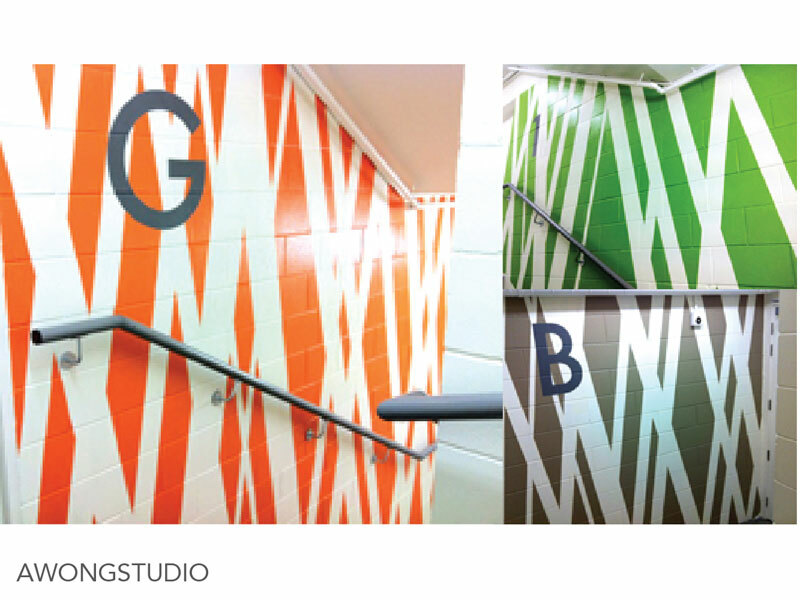 Design of interior mural for stairwell of a multi-storey apartment building. The brief was to enliven the space from its functionality. 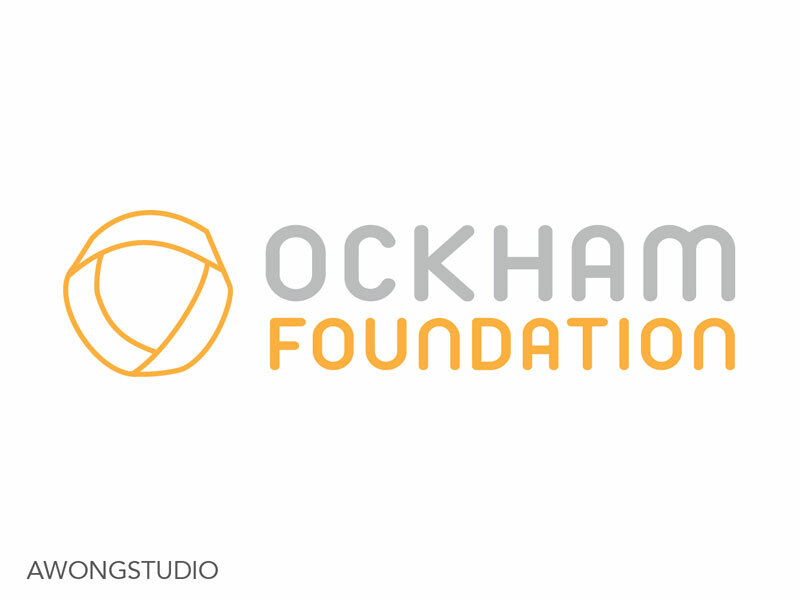 Logo design for a charity. The rounded, modern typeface was chosen to reflect the values of kindness and building for the future. 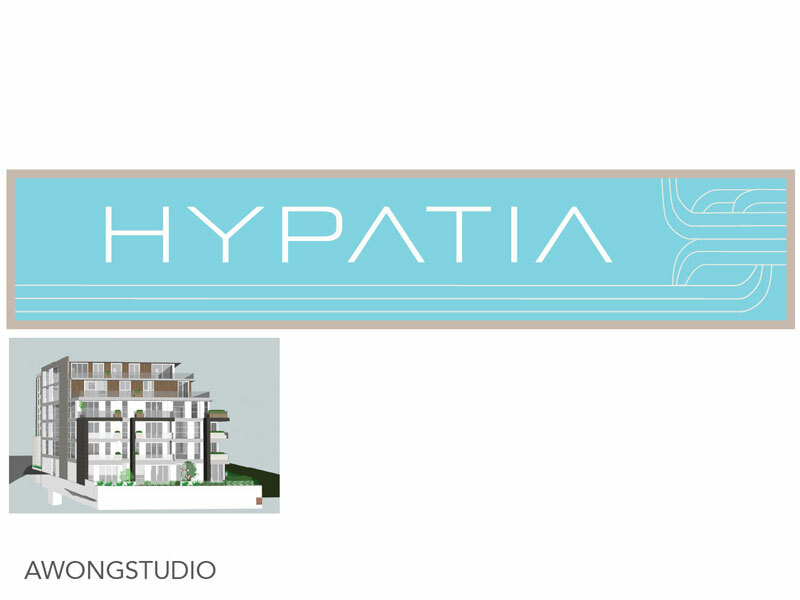 Logo design for residential apartment building. 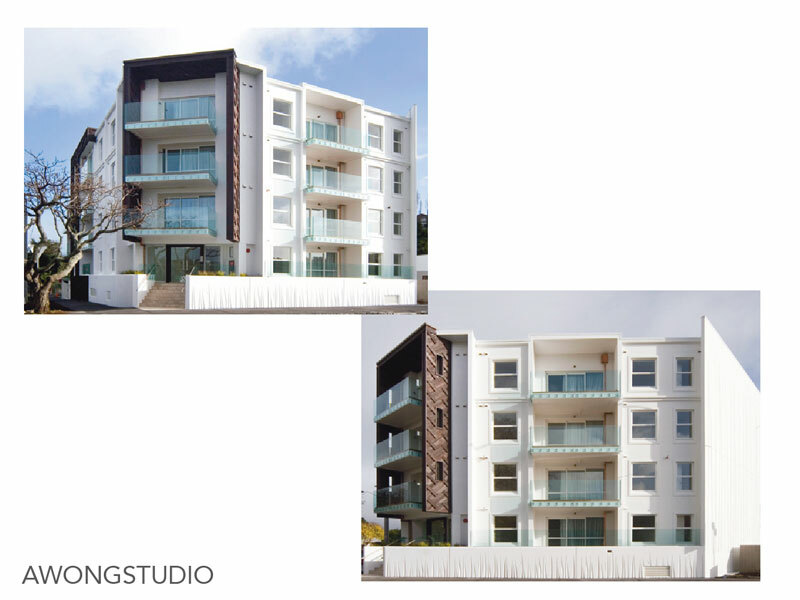 Reed design of exterior pre-cast concrete panels, inspired from the site’s history. 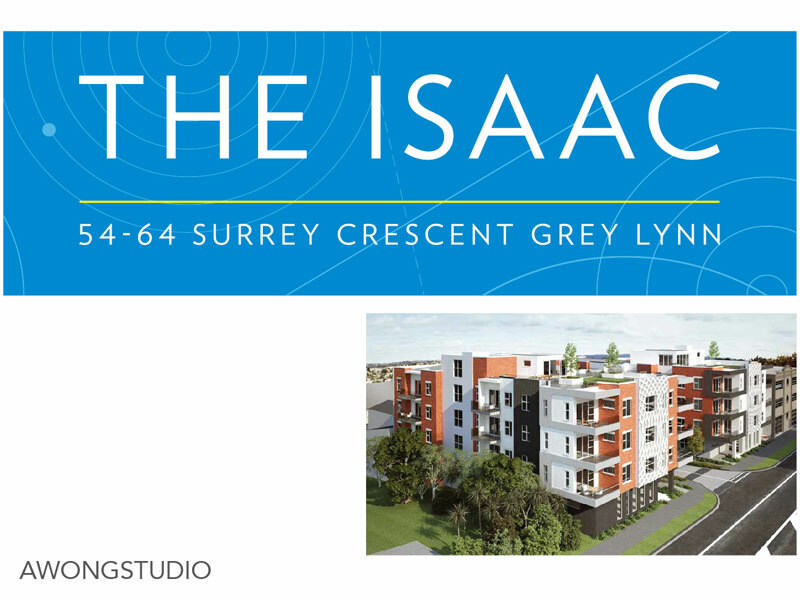 Logo design for property development named after Isaac Newton. Logo design for property development. Inspired by the Maori carving design featured on the exterior of the building.